It will be held in Geneva, from January 14 to February 1, 2019, at the headquarters of the High Commissioner for Human Rights, the examination of the UN Committee on the Convention on the Rights of the Child. Among the States party to the Convention that will be “questioned” in the examination, in the 80th session of the Committee, we find Guinea, Syrian Arab Republic, Japan, Bahrain, Czech Republic, Italy, Belgium. The Rete L’Abuso and its representation composed of President Francesco Zanardi, the lawyer Mario Caligiuri of the forum of Rome and Simone Padovani, will be present in Geneva, at the sessions of 22 and 23 January, the days in which the position of Italy will be examined. The question raised by our association, which has as its purpose the protection of minors and especially those who have been abused by members of the clergy, is related to the connivance between the Italian State and the Vatican that at the time has not made any provision concrete contrasting the phenomenon or helping the victims. 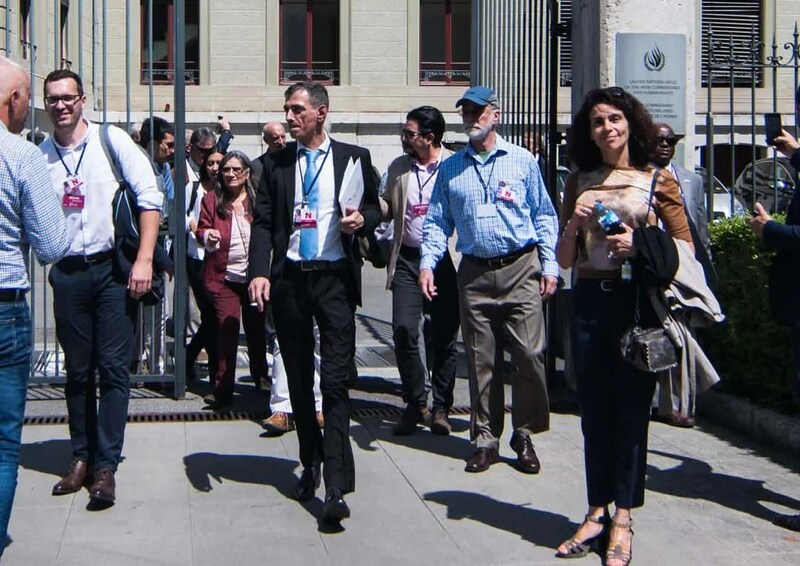 The times for exposing everything have been relatively large, as Rete L’Abuso, together with colleagues of ECA Global, has been accredited to the United Nations only last June, and only then did we start working, in a context international unknown to us. Thanks to the colleague Sara Oviedo Fierro (Ecuador), member of ECA Global and former vice president of the UN Committee, who has supported and directed us in a very broad, complex and unknown field, the “Justice” report produced by us and now available on site of the UN, is the summary of the protests that we advance, documented in recent months, which also highlights the inaction of Italian institutions that, to date, despite a parliamentary question, a warning to fulfil and a complaint, continue to remain silent. For the Italian state it seems that the problem does not exist, so much so that, unlike other more developed countries, ours is the only one who has never treated the phenomenon. Yet just a glance at our map or the cover image to understand that, perhaps, even in Italy there is a problem.